In September 2014, the New Jersey Legislature amended this State’s statute on alimony. Among the changes that the new alimony statute contains was a provision related to retirement. The addition that the Legislature made to the alimony statute to include a provision for alimony is lengthy. N.J.S.A. 2A:34-23(j) now provides that alimony may be modified or terminated “upon the prospective or actual retirement of the obligor.” With any new amendment to a statute, the family court then may have to interpret the statute in order to apply it to family law cases and the legal issues presented to it. Thus was the case in the recently published family court opinion of the Hon. L.R. Jones, J.S.C. in Mueller-v-Mueller, in which Judge Jones was presented with a family dispute that required him to apply the alimony statute and answer what the term “prospective retirement” means, whether an obligor spouse may make an application to terminate or modify alimony based upon a future retirement, and when such an application should be made. In this case, the parties were married in 1986 and divorced in 2006. At the time of the divorce the parties entered into a settlement agreement in which the plaintiff agreed to pay the defendant permanent alimony of $300 per week. The agreement was silent on the issue of the plaintiff’s future retirement. Plaintiff filed a post-judgment motion. He certified that he is now 57 years old, and that he plans to retire in five years when he turns 62, when he would be entitled to retire and receive his full employment related pension benefit. He asked Judge Jones for an order that would allow his alimony to terminate in five years upon his retirement, explaining that if his alimony obligation did not terminate, he would not be able to afford to retire at that age. The Plaintiff thus was asking the family court to terminate alimony based on a prospective future retirement, and based on an early retirement given that the plaintiff’s full retirement age to receive Social Security retirement benefits is 66, not 62. Judge Jones first turned to the new alimony statute as it relates to retirement. N.J.S.A. (j)(1) relates to termination of an alimony obligation established by an order entered after the new statute was entered in September, 2014, which would not apply to this case. Subsection (j)(2) relates to modification of alimony based on early retirement, and subsection (j)(3) relates to modification of an alimony obligation that was established before September, 2014, which was the case in Mueller. (c) The age when the obligor becomes eligible for retirement at the obligor’s place of employment, including mandatory retirement dates or the dates upon which continued employment would no longer increase retirement benefits. (d) The obligor’s motives in retirement, including any pressures to retire applied by the obligor’s employer, or incentive plans offered by the obligor’s employer. 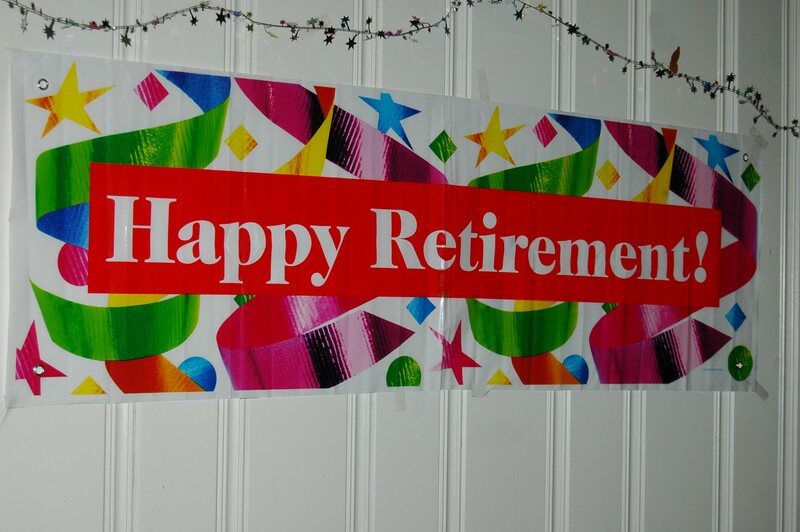 When an obligor wants to retire before he or she is entitled to receive full social security retirement benefits, subsection (j)(2) of the alimony statute applies. The obligor has the burden of demonstrating by a preponderance of the evidence that the prospective or actual retirement is both reasonable and that it is made in good faith. Judge Jones noted that the alimony statute allows the family court to consider a “prospective” retirement and that the alimony statute allows the court to establish conditions under which the modification or termination of alimony will be effective. This allows the obligor spouse to know in advance whether the alimony obligation would continue post-retirement in order to determine whether to actually retire. This is a less worrisome situation than an obligor spouse retiring only to discover that the alimony obligation is not terminated or modified. Applying rules of statutory construction, Judges Jones reasoned that a reasonable interpretation of the new alimony statute would allow a court to order a prospective termination or modification of alimony based on a future prospective retirement when that prospective retirement is both in the near future and where the applicant presents the court with a specifically detailed, proposed plan fro actual retirement and not merely a general desire to someday retire. The plan may include the proposed specific date of retirement and details as to the obligor’s plan for self-support after retirement. This will allow the court to weigh the comparative equities of an application to terminate alimony based on an early retirement. In this case, Judge Jones felt that a prospective retirement five years in the future was too far in advance for the court to consider at the present as it would require the judge to engage in too much speculation. For instance, much could change in five years as to the parties’ economic situations, health or other life events. In this case, Judge Jones also did not feel that the plaintiff’s application contained a specific detailed plan regarding his future retirement. At age 57, the plaintiff was not near either the full retirement age of 66 or the early retirement age of 62. Also, applications for prospective retirement made too far in advance of actual retirement could be used to change the terms of a settlement agreement from permanent or opened ended alimony to one of limited duration alimony. 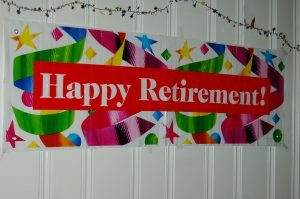 While there is no bright line rule as to when such an application for prospective retirement may be made, Judge Jones suggested that such applications may be made 12 to 18 months before the actual proposed retirement, which will also give the obligee spouse a chance to respond. Finally, Judge Jones pointed out that the statute does not simply automatically terminate alimony when the obligor spouse reaches a specific age. Had the Legislature intended that result, the statute would say so.